Is Enphase a Worthy IPO Candidate? Has the distributed optimization space suddenly become synonymous with Enphase—or is the front-runner in for a rude awakening? Microinverters and their distributed optimization cousins are on the lips and mind of every person with any interest in the future of the solar industry. In our conversations with players in and observers of the market, no other topic elicits more opinions and controversy, except perhaps outsourced versus domestic manufacturing and Eric Wesoff’s tirades. Despite the attention and promise of growth, however, Enphase, SolarEdge, et al. netted a paltry 2% of the overall PV inverter industry value in 2010, as reported in GTM Research's most recent report on the global PV inverter landscape. Nevertheless, news within and focus on this tiny but promising market segment is never in short supply. Enphase made a splash earlier this month with an S-1 filing in which the microinverter company is targeting $100 million in new capital in a potential IPO. A week later, an additional SEC filing showed that Enphase is seeking $51 million in another round of fundraising, of which $17 million has already been raised. The S-1 filing shows that the company still has at least $30 million in reserves, and while the company has been unprofitable, gross margins have been improving. So what can we learn by diving deeper into Enphase’s S-1? 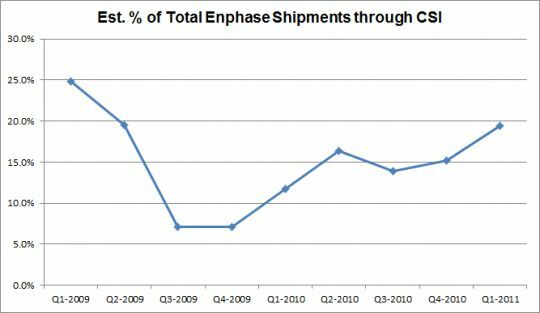 For one, revenues, and presumably estimated shipments of Enphase microinverters, have been lumpy. Enphase saw a jump in Q3 2010 with a quarter-over-quarter increase of 74 percent. This would have corresponded to the U.S.’ natural seasonality cycle, as well as the peak in the global shortage of string inverters. Furthermore, a handful of small commercial integrators began to warm up to using microinverters in projects during the latter half of 2010. Gross margins, however, have been slow to rise despite the increased scale, peaking at 17 percent in Q1 2011. Gross margins turned a corner in Q3 2009, beginning with the transition to the second-generation product, but have flattened since the transition was complete in 2010. 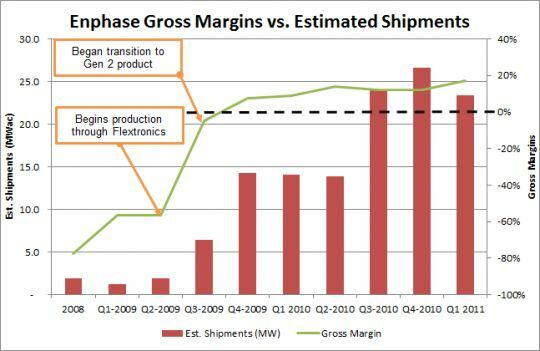 Declining margins despite a sharp uptick in estimated shipments in Q3 and Q4 2010 are a cause for concern, but Enphase explains that procurement and raw material expediting costs were the root cause, as it was for the overall PV inverter industry during this time of raw material shortage. With Enphase’s third-generation product now being introduced, the question is whether Enphase can cause a similar jump in margins to what it saw in Q3 2009 after the introduction of its second-generation product. Interestingly for the Bay Area startup, only approximately 20 percent of its shipments go to California Solar Initiative (CSI) funded projects -- which is surprising, considering that California’s residential market represented nearly 50 percent of the overall U.S. residential market. According to the S-1, 13 percent of shipments land in Ontario’s FIT market, meaning that Enphase is quietly penetrating other state markets. Enphase only entered the residential-focused European market late Q1 of this year. As reported in SEIA/GTM Research’s Solar Market Insight™, the U.S. has become far less dependent on the Californian market than in previous years. Certainly California’s share of the market jumped from 38 percent in Q1 2010 to 45 percent in Q1 2011, but most of this growth came from the now-suspended CSI non-residential market riding the cash grant wave. 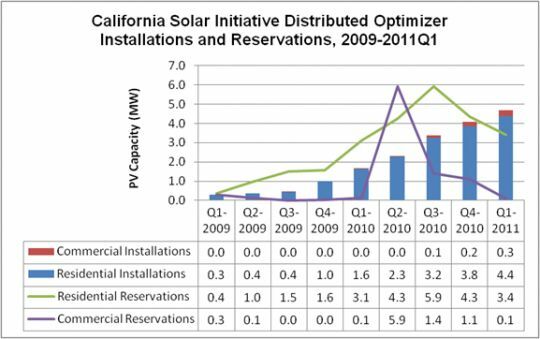 Residential installations in California, where Enphase plays the strongest, have been relatively stagnant for the past five quarters and there is a natural cap to expanding market share in California when considering that third-party financed residential systems, such as the solar lease/PPA programs offered by SunRun, SolarCity and Sungevity, have yet to -- and may not -- adopt Enphase en masse. Unsurprisingly, the value proposition of distributed optimization is clear in residential systems where space is limited, design and engineering costs are disproportionately large, and shading concerns are much more common. But as the CSI -- the traditional stalwart of residential systems in the U.S. -- winds down, growth prospects in the commercial market are far more promising. 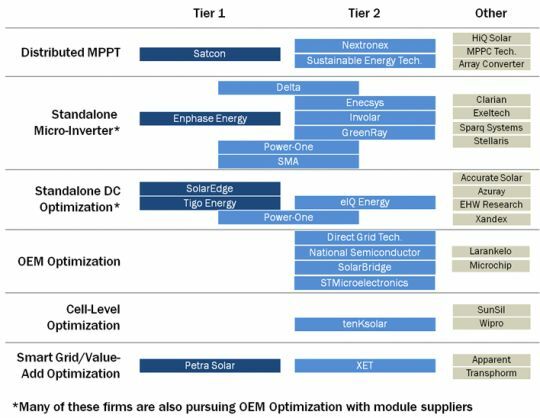 Enphase and other distributed optimization companies have long held that the elimination of module and other system mismatches are a large piece of the benefits of utilizing the technology. However, commercial developers have been slow to respond. Adoption within the California market has been scant, and in faster-growing commercial markets like New Jersey, it’s practically non-existent. Enphase and Main Street Power’s Morgan Stanley-backed fleet of commercial inverters (the cause of the Q2 2010 spike in Enphase’s commercial reservations) may be a sign that this attitude is shifting, but most commercial integrators have been taking a wait-and-see approach. Every week, we hear of a new company that believes they’re going to crack the distributed optimization nut, but the field at this point is pretty much set. Keep in mind, any product going into beta testing or even volume production in the second half of 2011 is already two to three years behind the market leaders. The development of a reliable microinverter product is not a simple process, either. SMA bought OKE's platform in Q3 2009 but has yet to release a microinverter. Power-One began openly speaking of distributed optimization over a year ago and only released a commercial product in Q2 of this year. Venture capital has been flooding into the market for years and venture-backed startups have a combined war chest of over $490 million from fundraising rounds and government grants. Furthermore, new entrants from outside the startup world include Power-One, SMA (someday) and other unannounced developments within global industrial automation/power electronics conglomerates. These companies will be certain to throw around their strong balance sheets and existing distribution channels to quickly ramp up in the space. Given this environment, the prospects for new companies still searching for funding and bankable partners look bleak at best. Still, the prospective bursting of the distributed optimization bubble doesn’t mean that Enphase is necessarily in the clear. Major competitors like SolarEdge (which may also be considering an IPO), Tigo, and SolarBridge all completed new funding rounds this year. Total venture funding of more than $470 million has poured into the space with significantly more on deck. Whereas Enphase seemed like a giant amongst anemic competitors in early 2010, the 2011 landscape looks far more competitive. Again, add in the fact that traditional inverter companies that are rushing to understand and utilize the technology -- many are looking at DC optimization in particular -- and the future of stellar growth in Enphase’s market share no longer seems assured. 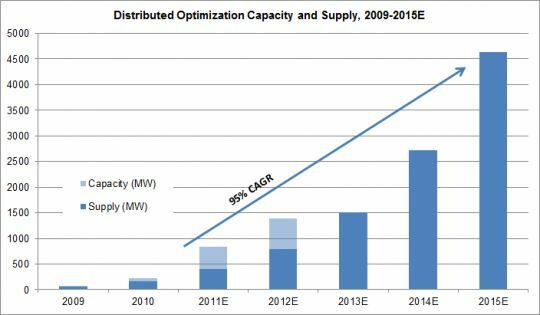 Gazing into our crystal ball, we see strong potential for the distributed optimization market segment to the tune of a 95 percent CAGR in the next five years. However, while market adoption of microinverters versus DC optimization has been relatively even thus far, it continues to be unclear whether that trend will hold up. While the market leadership and wealth of in-field track record from Enphase cannot be ignored, many commercial developers and inverter manufacturers have expressed a clear preference for DC/DC optimization as the superior path towards more granular system performance enhancement. Couple this with planned announcements of true embedded AC modules that may be coming as soon as the Intersolar North America conference in a few weeks and the prospects of Enphase only get tighter. As the front-runner in the hot distributed optimization space, the natural thought is acquisition. Considering the long research and development lead time to produce a reliable microinverter, why shouldn't a company flush with cash and looking for a quick entrance simply buy Enphase? 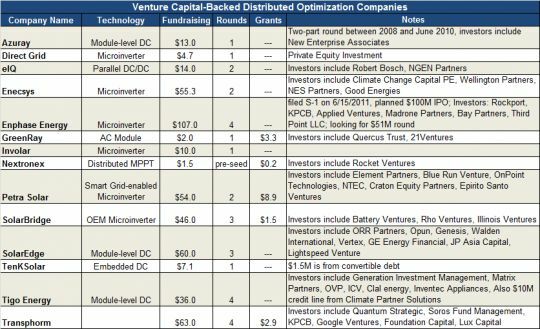 If Enphase does close the $51 million round (an outcome to which they're well on their way), it would result in $158 million in VC funding. 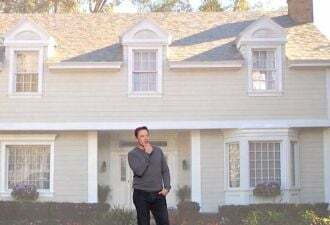 With a 3x to 5x multiple, Enphase's asking price quickly jumps to $450 million to $750 million -- an expensive price tag for a company with a limited addressable market and a field of new competition. We're not ruling it out, but consider it highly unlikely. While we’re not saying the companies are similar in any other way, Solyndra managed to survive “adverse market conditions” through private fundraising when it pulled its IPO. Given the potential adverse market conditions for Enphase on the horizon, filing an S-1 while continuing to fundraise from the private investment community is the best strategy forward for the company.